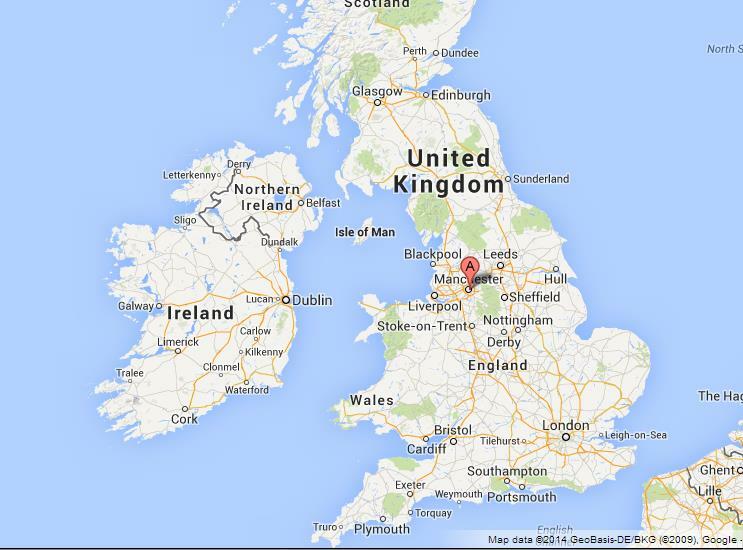 6 Weeks in England | an Overview | Peter M. Schloss | J.D. - Mediator. In 48 hours we depart for a 6 week journey in the United Kingdom. It could be an interesting time from the standpoint of current events, given the evolving Brexit controversy and the eagerly anticipated arrival of the newest “Royal”, possibly on the day of Queen Elizabeth’s 93rd birthday (April 21st). We plan on inoculating ourselves from all things political, and most things “celebrity”. It is our intention to spend each day absorbing the countryside and embracing the hospitality of England’s “commoners”. We depart Kansas City for a 15 hour transit, including connections and layovers, to Manchester England. Manchester, pop. 500,000+, is located in northwest England, 35 miles east of Liverpool. It was founded in 79AD by the Romans as a military outpost. It is the third most visited city in the UK after London and Edinburgh. We will reserve a real visit of Manchester for our canal passage through the heart of the old city. A 30 minute taxi ride south to Middlewich will deposit us at the door of the Boar’s Head Inn where we will enjoy 2 days in residence prior to taking the helm of the Salten-Fjord, our 61 foot narrow boat. Middlewich is known for its historic salt mining operations which also date to the time of the ancient Roman occupation. Our good friend from Colorado, Kris Ashton, will be with us in Middlewich and for the first 8 days on the Canal. We met Kris in 2013 while walking 525 miles across Spain. After Kris departs, Christine and I will solo cruise for about a week. We will then be joined for the final week aboard Salten-Fjord by our good Canadian friends, Tom Shillington and his wife Nanci Burns. We met Tom and Nanci while walking 150 miles from Porto Portugal to Santiago Spain in 2018. Once the 3 weeks on the canals are concluded we will travel to Chester England for 3 more days in the company of Tom and Nanci. Chester, dating back to the Roman occupation, is one of the best preserved Medieval walled cities in Britain. It is a virtual certainty that we will day-trip to Liverpool, the birthplace and shrine of the Beatles. Christine and I will wish our Canadian friends farewell as they depart for Italy and we train south the Cardiff, Wales. In Cardiff we will be joined by our dear Welch friends Huw and Nina Thomas. Our friendship dates back nearly 20 years and includes a number of adventures, not the least of which were the London Subway bombing of 2005 and a driving tour of Ireland in 2018. We will spend 3 days together in the England Cotswold’s countryside. Huw and Nina will then see us off in Portsmouth England for our ferry crossing to the Channel Islands of Guernsey and Jersey. Guernsey achieved recent fame as the subject of the 2008 bestselling book and excellent 2018 movie, The Guernsey Literary and Potato Peel Pie Society. The Channel Islands are located in the English Channel, near to the French shore. They are small self-governing British Crown dependencies that were occupied by the Nazi invaders throughout the Second World War. Our visit will include 3 nights on each island before an overnight ferry crossing and return to Portsmouth. Once back in Portsmouth we look forward to visiting the remarkable HMS Victory, the 104 gun 18th Century “Ship of the Line” that served as Lord-Admiral Nelson’s flagship at the 1805 Battle of Trafalgar. Another highlight in Portsmouth is the museum that houses the salvaged remains of the “Mary Rose”, King Henry VIII’s warship that sank in 1545 and was razed in 1982. Her recovery is one of the most complex and expensive salvage operations in maritime history. From Portsmouth we will spend 4 days returning by train to Manchester for our flight back to Kansas City. On our way back to Manchester we hope to include nights in Winchester (home of Winchester Cathedral) and Oxford England (home of its namesake university, the oldest University in the English speaking world). We look forward to sharing our day by day journey with you! Looking forward to following your upcoming adventure! Have fun & safe travels! Very welcome, Pete! I am 1/4 English, my Grandmother, on my Mom’s side was from Sheffield. Maybe, someday, David & I can travel to Great Britain. Say Hello to Morse and Lewis, Hathaway and Endeavor when you hit Oxford…Tolkien too! Pub “water”, yes. But I’ll pass on the canal water! Safe travels, guys. Look forward to your reports. Have a grand time! Love England as I have spent many times there due to having an aunt, uncle and many cousins. Thanks Gene and Moira. I love good curry!! Thanks Mom. We love you!! Die Welt ist voll von schönen Orten, aber es sind die Menschen, die wir treffen, die die Orte wunderbar machen. Met the most wonderful couple from Jersey on my cycling trip through Ireland. They adopted me and took me to a 5-star railroad era resort for high tea! Will follow your adventure in Jersey with deep interest. I have a 35-year-old kitchen towel with a picture of the Mary Rose on it. Well as you may have guessed – I am catching up on your adventures all at once. A family issue has kept me from reading nightly – (everything is okay) so now I must cram to catch up. Much love – I hope you are enjoying every moment!! We are, and yes, I guessed!